Tomorrow is the kick-off of BCT 2017. If you are new to WebGuy, WELCOME! 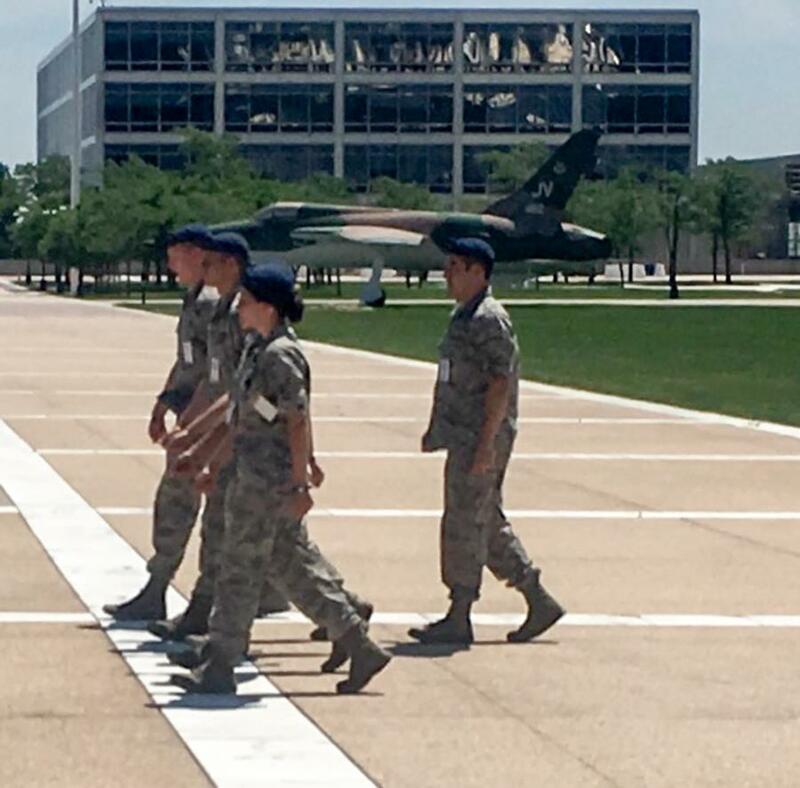 Basic Cadet Training is actually just one of the summer training programs at USAFA. 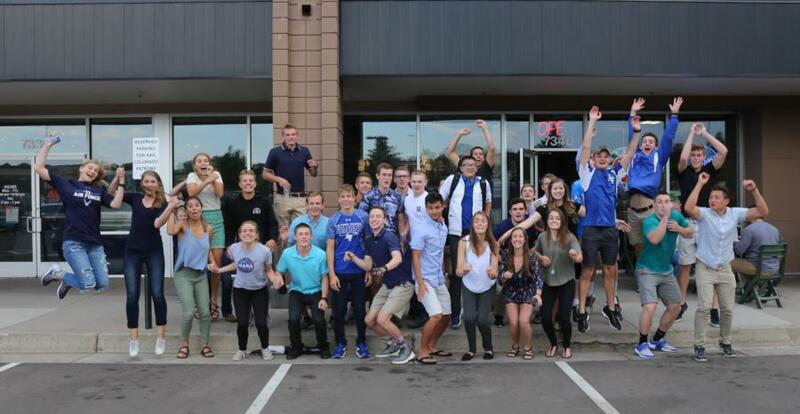 Admittedly, it is the most covered and well known, but we here at WebGuy have been busy covering all the summer training programs since right after the Class of 2017 graduated. The Class of 2020 is busy with Jump, Soaring, Remote Piloted Aircraft, Powered Flight, ESET, & Space programs. The Classes of 2018 and 2019 are scattered at training sites all over the world, and many of them are soaring, jump & RPA instructors. If you are a family of the Class of 2021, you will be meeting many of the members of 2019 and 2018 as training Cadre for Basic Cadet Training. If you are family members of the cadre cadets or instructors , you will be searching for photos of your cadets right along with the Doolie parents. That being said, this blog entry is primarily about BCT. Yesterday, I gave you a picture of what to expect tomorrow. Many of you who travelled to Colorado and came in over the past couple of days have already visited Doolittle Hall where everything will start tomorrow. It was great to give a few tours and chat with many of you today. As the parent of a 2008 graduate, I remember all too well how you are feeling this evening and tomorrow, but for now it is all quiet here tonight as the sun sets. I am actually sitting in Applebees on Academy Blvd with my laptop writing to you. Tomorrow it all begins. I caught this photo with my cell of the cadre practicing in preparation of teaching the basic cadets how to march. Remember this is a leadership training program for them as well. Tonight I also caught this photo of some Preppies on their last night in civvies for a while. Now, that being said here is what you can expect to see over the course of BCT. We will cover every BCT squadron during the course of each week, but we will not necessarily cover every squadron every day. The training schedule and security makes that impossible. Please don't count the number of pictures for each squadron. In the end it will all work out. I promise. It always does. Where we can, we place the squadron photos in galleries for each squadron to make your search easier. Sometimes, we won't be able to separate out the photos when the squadrons are intermixed, like on in-processing day. We will use the blog to let you know what we covered and who we covered each day. Early in BCT, there may be days with little or no coverage. This is because the basics will be taking tests or doing things where we aren't allow to go. Those days will be few, but you can expect them. Sundays will be a summary day. We will use that day to post videos we have taken during the week, and give you a view of all that occurred during the previous week. We want you to have a life during BCT. WebGuy stalking has been likened to an addiction, lol. Past classes have told us how their entire lives revolved around looking at our photos during BCT. Meals were missed, sleep was missed, work neglected. This is all very flattering. We love being popular, and with this website we have made it easy for you to do all that. However, in the interest of everyone's health (including our photographers) we also want to find a good balance for everyone to be able to see their basic and still be able to have a life. This year we have worked hard to design our coverage to provide that window for you to see how your basics are doing and what they are doing, while at the same time eliminating repetitive photos that add to the picture count, but don't add value beyond that. (Yes we do understand that that photo of their ear as they march by is important). We've learned a lot over the last thirteen years on how to cover BCT and we're putting it all into practice every year. We hope you will like what we have done. So that's it for this first blog. Tomorrow is an early day. The first photos taken of arrivals at the airport and also of the Northwest Prep appointees meet and greet are up and will be available ailable in the Class of 2021 In-Processing gallery. Check back tomorrow for all the action from I-Day.